A software engineer is engaged in software development; not all software developers, however, are engineers. Software development and software engineering are interrelated terms, but they don’t mean quite the same thing. A software engineer is engaged in software development; not all software developers, however, are engineers. Software engineering means applying engineering principles to software creation. It can seem odd to talk about engineering something that doesn’t have mass or take up space, but software is embedded in things that do have mass. Software does everything from dispense our medication to control large equipment. Many people also rely on software to perform job duties, whether they work in an office or telecommute. As we all know, software applications can malfunction. It’s not just bridges that crash… and it’s not just bridges that need a good foundations. Software engineers begin with a thorough study of requirements. They work through the development process in a systematic way; this is called the software development life cycle. Because the terms are so often confused, it can be tricky to know who is a software engineer and who is versed in only a part of the software development process – for example coding. Some states are strict about the title software engineer, but many aren’t. Many companies select job titles for how they sound. Steve McConnell, software engineer and book author, reminds us, though, that just because a term is overused, it doesn’t mean it doesn’t have value. Engineering, he contends, is what software development should be about. Software engineers are expected to complete a design project where they apply engineering principles. This gives valuable experience for the world beyond the classroom. Software engineers sometimes produce packaged software, but they more frequently create customized systems for individual clients. Their goal is to help the client meet his or her goals and do so in an efficient way. Employers may choose to use different titles. Whatever is in vogue in your geographic region, though, it’s important to be aware of the realities of the job market. In the coming years, job prospects are expected to be far better for software professionals with specialized, comprehensive knowledge than they are for those whose expertise is limited to programming. The Bureau of Labor Statistics predicted a 32% increase in jobs for software engineers during the years 2008 to 2018. During those same years, jobs for programmers were expected to decline by 3%. According to the BLS, software engineering positions are less likely to be outsourced. A degree in software engineering, meanwhile, may become the norm for those working with embedded software or other high-stakes applications. A licensing exam is currently being developed at the request of ten states. Organizations like the IEEE-USA predict that engineering licensure will become the norm for some, though not all, software development roles. 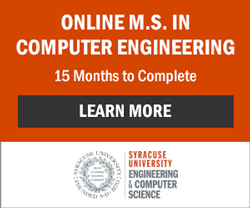 Where can you study Software Development and Software Engineering?